JOY is the revolutionary new range from Rexel. The JOY range is ideal for schools, university students and for the office. The JOY 2 hole punch has a high gloss finish with a stylish rounded shape. It is perfect for light use, as it has a 10 sheet capacity. The JOY 2 hole punch is available in 3 fashionable colours ensuring a professional yet stylish look to your desk! 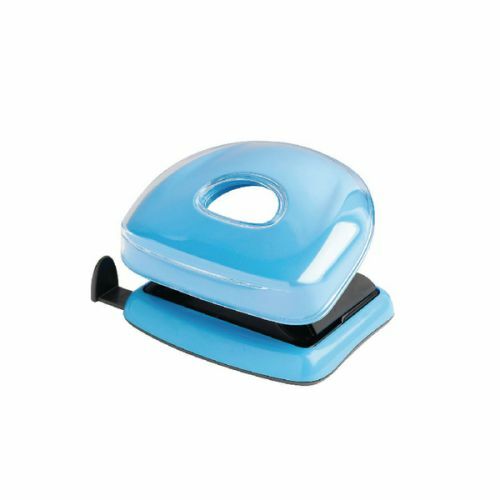 This 2 hole punch comes in Blissful Blue.